There’s good news for people who are trying to start a weight-loss plan, but struggle with complicated diet plans and feeling deprived over long lists of what NOT to eat. A 2015 study suggested a simpler approach may work just as well: Eat more of certain foods and don't worry so much about calorie counting. Metabolic syndrome is a group of conditions, including high-blood pressure and high blood sugar, that increase a person's risk of heart disease or diabetes. In the high-fiber group, detailed instructions were provided on exactly how to boost fiber intake to 30 grams per day: increase fruits, vegetables and whole grains, without aiming for specific calorie limit. The AHA group had to follow the plan's multiple requirements: specific calorie goals, cutting saturated fat to a certain percentage of overall daily calories, increasing fiber and increasing fruits and vegetables. For more on the American Heart Association diet go here. Neither group had specific advice for physical activity. Based on self-reported food intake and tracked body weight over time, the completion rate for both groups at the end of one year of participation was very high, nearly 90 percent. The good news: weight loss at one year for both the AHA diet and the high-fiber diet groups were very similar, an average of 4.6 pounds for the fiber-diet group and 5.9 pounds for the AHA diet. But here is what really counts for the average person: the nearly identical weight loss at the end of one year was achieved with one basic change in the diet — increasing dietary fiber (that does not mean taking daily fiber supplements). The more restrictive Heart Association diet, which requires vigilance, did not result in superior weight loss. This new study, conducted by researchers with the National Heart, Lung, and Blood Institute, supports earlier science suggesting that one dietary change may be easier and more effective for many people long term. While the AHA diet has long been documented to promote weight loss and improved general health, it may be daunting to maintain for a long period of time. How much daily fiber do I need? Most Americans don’t get enough fiber in their diets. The recommended intake is between 20 and 38 grams of total fiber per day, depending on your age and gender, with 25 grams being a realistic goal for most people. 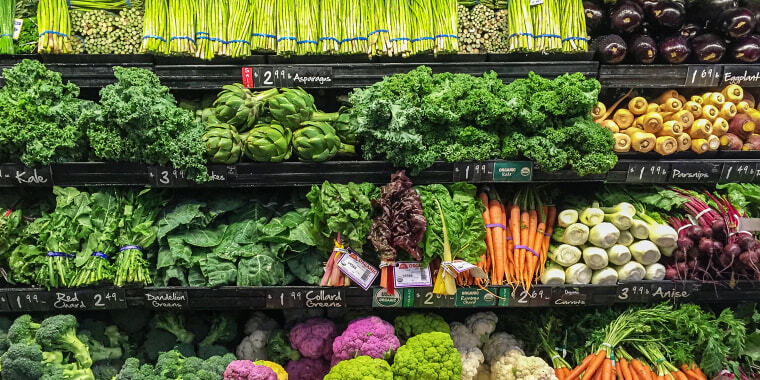 Unfortunately, the average American consumes a mere 14 grams — and many eat even less. Since fiber helps you digest food, if you don’t get enough in your diet, you can become constipated, develop hemorrhoids, or be prone to illnesses like diverticulosis (inflammation in your digestive tract). But add fiber to your diet gradually, as too much too fast can cause bloating, gas or diarrhea. A good rule of thumb is to add a serving (containing three to five grams of fiber) a week. And don't forget to drink plenty of water with your increase in fiber. Madelyn Fernstrom is the health and nutrition editor for NBC News and TODAY.